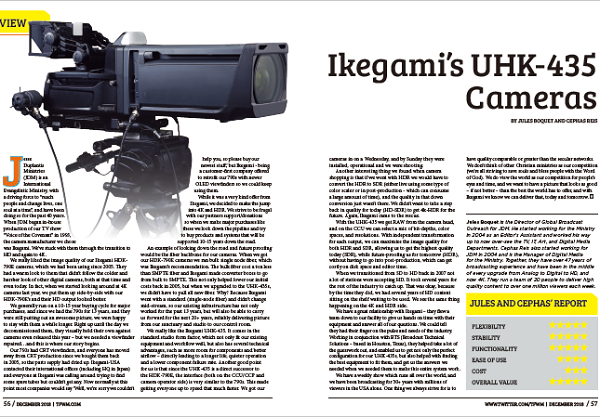 Trace the milestones of broadcast camera and monitor technology and you’ll usually find the name Ikegami. That’s why today, just as it has for over twenty years, when the marketplace wants better and better technology and innovation, the name they look to is Ikegami. The Los Angeles Olympics, one of the proudest moments in American history, was just one more way in which Ikegami showcased its achievements. For it was Ikegami’s advanced broadcast cameras and monitors used extensively by ABC that played a critical role in bringing this international athletic event to television viewers the world over. 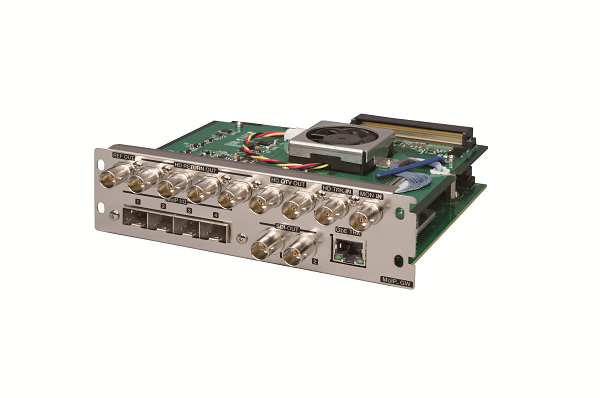 Performance, brilliant color, and absolute reliability once again established Ikegami’s undisputed leadership in broadcast equipment engineering and design. Ikegami Electronics (U.S.A.), Inc. is a leading supplier of professional broadcasting products in the Western Hemisphere. With U.S. offices in New Jersey, California, Florida, Texas and Illinois, the Ikegami name is recognized worldwide for its state-of-the-art television cameras, closed circuit TV equipment, computer display monitors, industrial power supplies and medical camera systems. In 1964, the seeds of this organization were planted in a small sales office in New York City. Soon, Ikegami quickly outgrew its Manhattan headquarters. The company’s expansion ultimately required three relocations before its arrival at the present custom-built, 90,000 square-foot complex in Maywood, New Jersey, in 1978. Today, Ikegami’s longstanding history as a pioneer in broadcast technology remains unsurpassed, distinguished by such introductions as the first practical portable color TV camera and the first all-electronic, computer-controlled studio camera. 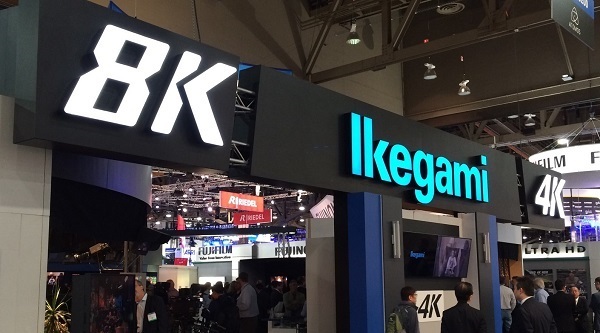 The story of Ikegami Electronics (U.S.A.), Inc., however, is but a single chapter in the legacy of its parent company, Ikegami Tsushinki Ltd. Founded by Kosei Saito in the Ikegami district of Tokyo, the company began manufacturing telephone coils in 1946. Three years later, with the advent of the television industry in Japan, it introduced studio and measuring equipment for both TV and radio. Its early broadcast designs were developed in cooperation with the renowned Technical Research Laboratory of NHK (the Japan Broadcast Corporation). Soon afterward, Ikegami became the first company in Japan to use transistors in broadcast equipment. It was already well on its way to pioneering the age of Electronics News Gathering (ENG) with the development of its first portable hand-held TV camera. This portable TV camera made its worldwide debut in the United States in May 1962, when CBS used the product to document the historic launching of the first manned space flight of Aurora 7, The demand for high quality, lightweight and reliable field cameras grew tremendously from this start, revolutionizing broadcast and video production in the process. Ten years later, Ikegami made yet another breakthrough by introducing its first color hand-held camera -the HL-33 – for broadcast use. 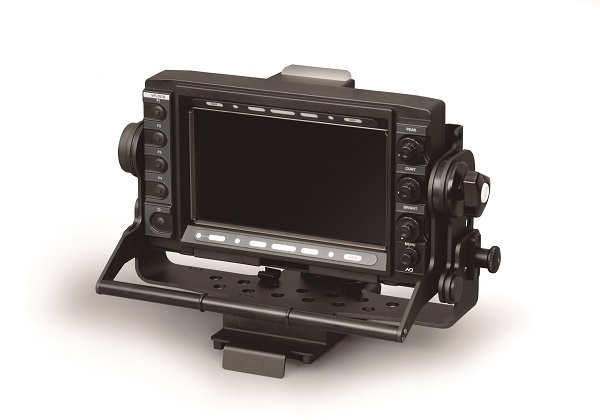 In addition to its superior reputation as a supplier of broadcast equipment, Ikegami Electronics (U.S.A.), Inc. has established a reputation for quality in other fields as well; Ikegami’s closed circuit TV products and high-resolution CRT monitors are moving to the forefront of their respective industries, as are their medical and B&W camera/monitor systems. Ikegami continues to reap honors for its research and development in video technology. It is the recipient of two Emmy Awards for Outstanding Achievement in the Science of Television Engineering: for the development of digital techniques in automatic studio camera set up and for the design of the EC-35 Electronic Cinematography Camera. Ikegami technology has claimed many “firsts” throughout its corporate history. But for a select group of people who came to the United States from Japan in 1964 and for those who have since joined the company, the Olympic Games in Los Angeles signaled a special moment -the culmination of years of dedication and hard work. 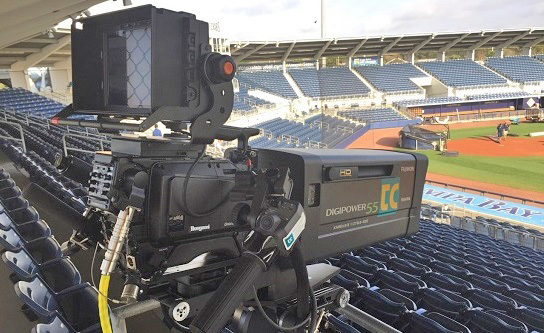 Ikegami cameras were recognized by the broadcast profession as “the best”. And the story has grown even greater since then. •	Established under the name of Ikegami Electronics Industries Inc. of New York on December 28th, 1964 on Fifth Avenue, New York City, with capital of $2,000. •	Increased capital to $70,000. •	Increased capital to $100,000. •	Ikegami cameras used to broadcast the excitement of the Mexico Olympics. •	Office relocated to 31st Ave., Long Island City, New York. • First display monitors delivered to Incoterm Corporation (Honeywell Information Division). • Capital increased to $200,000. 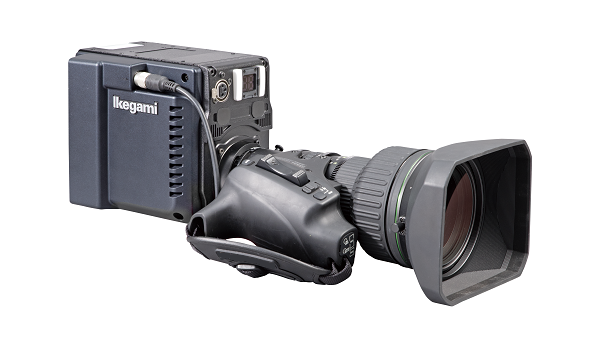 • Ikegami studio and field cameras used at Winter Olympics in Sapporo, Japan. • Introduced the TK-355, the Ikegami’s first one-inch tube format color studio camera. • Developed the HL-33 “Handy LookyEhand-held color broadcast camera. The first camera in the world to use one-inch Plumbicon tubes. First delivery in the U.S.A. made to CBS, signaling the birth of the ENG (Electronic News Gathering) age. • Unveiled the HK-312, the first all electronic computer-controlled color studio camera in the world, at the SMPTE Show in New York. • First HL-33 hand-held cameras in South America delivered to TV Globo in Brazil. • American Broadcast Company (ABC) selected Ikegami’s innovative HK-312; first delivery in the U.S.A. made to KABC. • Relocated its headquarters to 39th Ave., Long Island City, New York. • Introduced the HL-35, the world’s first ENG color camera using 2/3-inch Plumbicon”‘ tubes. • Changed its corporate name to the current Ikegami Electronics (U.S.A.), Inc.
• First HK-312 computer-controlled studio cameras in South America delivered to TV Globo in Brazil. • First Incentive Tour to. Japan held in May. • Introduced the HL- 77 ENG/EFP handheld camera at NAB. • Opened its West Coast sales and service branch office in Torrance, California. • Introduced the HK-357 at National Association of Broadcasters convention. • Opened its Southwest branch office in Houston, Texas. • Relocated its headquarters to a newly completed 90,000 sq. ft. complex in Maywood, New Jersey in November. • Introduced the HL- 79A ENG/EFP color camera at the SMPTE Show. • Increased capital to $1,200,000. • Opened its Southeast branch office in Americus, Georgia. • Introduced the ITC-350 low cost hand-held color camera. • Relocated the West Coast branch office in July to a newly 50,000 sq. ft. building in Torrance, California. • Opened its Midwest branch office in St. Louis, Missouri. • Received the Engineering Achievement Emmy. Award for the development of digital techniques for automatic set up of TV cameras. • Delivered its 100,000th display monitor to Honeywell Information Systems in the United States. • Relocated the Southeast branch office to Tampa, Florida. 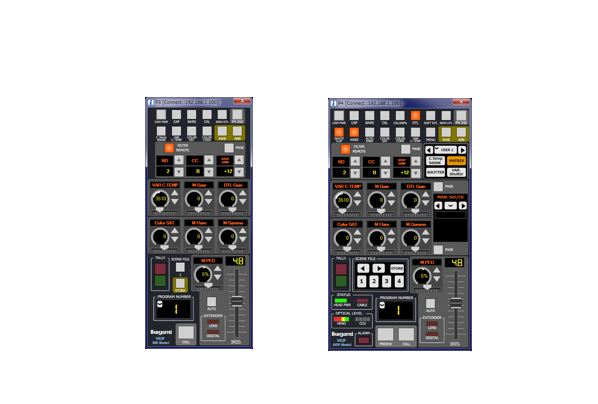 • Introduced the HK-322 fully automated studio color camera. • Introduced the ITC- 730 low cost hand-held camera. • Began shipments of color display monitors. • Received an Emmy Award for the EC-35 Electronic Cinematography camera. • Introduced the first High Definition TV camera system in the USA. • Delivered the first HK-322 studio cameras to KOMO-TV. • Introduced the HL-95 Unicam, the most versatile one-piece hand-held camera; first six units delivered to ABC for use at the Los Angeles Olympics. • Hundreds of Ikegami cameras and monitors used by ABC for coverage of the Winter Olympics in Sarajevo and the Summer Olympics in Los Angeles, California. • Relocated the Southwest branch office to Dallas, Texas, in June. • Relocated the Midwest branch office to Elmhurst, Illinois, in November. • Celebrated the unprecedented sale of the 5000th HL-79 series ENG/EFP camera. • Introduced HK-323 1″ and 2/3 “field/studio cameras. • Introduced HK-355 2/3″ CCD field/studio cameras. • Introduced HL-55 2/3” CCD hand-held cameras.